Draft: 2011, Atlanta Braves, 2nd rd. Married to Amanda…has 2 sons, Jackson and Cole...His mom, Jan, is a teacher and his dad, Mark, is an investment analyst…both sets of great grandparents came to America from Italy through Ellis Island in New York...Attended the University of Connecticut…was teammates on the UConn baseball team with Mike Olt (2009-10) and George Springer (2009-11)...Is a 2009 graduate of East Longmeadow (Mass.) High School…earned Massachusetts State All-Star honors as a pitcher as a senior (career 21-3 record)…also lettered in basketball...His hometown of East Longmeadow, Mass., has a roundabout in the center of town that made the Guinness Book of World Records…there are 7 streets connecting to it and no stoplights. Established a career high in home runs (16), doubles (33), runs scored (61), RBI (70), hits (121), games (153) and total bases (212)...Ranked among NL shortstops in RBI (3rd, 69), home runs (4th), slugging pct. (5th, .410) and OPS (6th, .697) [stats as SS only]...His 69 RBI were the most as a shortstop in club history, while his 16 homers ranked third behind Stephen Drew (21 in 2008) and Jay Bell (18 in 1998) [stats as SS only]...The 21 DRS were the most by a D-backs shortstop since the stat started being tracked in 2003 [source: fangraphs.com]...Is 1 of 6 NL players since 2005 with a dWAR of 2.9 or better with 70+ RBI (also: Brandon Crawford/SF in 2015-16, Carlos Gomez/MIL in 2013, Yadier Molina/STL in 2012, Chase Utley/PHI in 2008 and Troy Tulowitzki/COL in 2007) [source: baseballreference.com]...Rated by Baseball America as the NL's Best Defensive Shortstop (No. 2). Limited to 53 games after suffering a pair of right-hand injuries, hitting .251 with 8 doubles, 1 triple, 6 home runs and 21 RBI ... Was initially placed on the 10-day disabled list on June 28 and underwent surgery to place 3 pins in his right hand that day (performed by Dr. Don Sheridan)…suffered a broken right wrist after being hit by a pitch on a rehab assignment with Triple-A Reno on Aug. 27, ending his season ... Rated by Baseball America as the NL's second Best Defensive Shortstop, behind the Giants' Brandon Crawford. Limited to 90 games after suffering a right hip impingement…hit .218 with 9 doubles, 1 triple, 4 home runs and 20 RBI... Finished sixth in the NL in Defensive WAR (1.8), trailing Addi-son Russell (2.7), Brandon Crawford (2.7), Nolan Arenado (2.3), Buster Posey (2.0) and Javier Baez (2.0)…at the time he was placed on the DL, he ranked second among all shortstops with 12 defensive runs saved (Brandon Crawford, 17)... Placed on the 15-day disabled list on July 23 and underwent season-ending arthroscopic surgery on Aug. 25 in Vail, Colo. (performed by Dr. Marc Philippon)...Led all No. 9 hitters with 4 home runs...Missed a pair of games from July 2-3 while on the Paternity List for the birth of his first child, Jackson James. Appeared in 134 games in his first full season with Arizona, hitting .226 (95-for-421) with 17 doubles, 6 triples, 9 home runs and 34 RBI…Finished third in the NL in Defensive WAR (2.8), trailing Andrelton Simmons (3.5) and Brandon Crawford (2.9) and tied for fi fth overall in defensive runs saved (20)…only Simmons (25) had more DRS at shortstop and was tied with Crawford…Ranked among all NL shortstops in total chances per 9.0 IP (1st, 4.93) and putouts (5th, 190)…His .977 fielding percentage was the fourth best by a D-backs shortstop in club history and best since Stephen Drew's club record of .984 in 2010…set the franchise record with 4.93 TC/9.0 IP, breaking Jay Bell's previous mark (4.69 in 1998)…Had 24 straight errorless games from April 13-May 15 and 20 from June 30-July 28…Recorded 10 assists on July 20 vs. Marlins, the second most in a game by a D-backs shortstop…Suffered a jammed lower back on Sept. 22 at Dodgers and missed the remainder of the season. 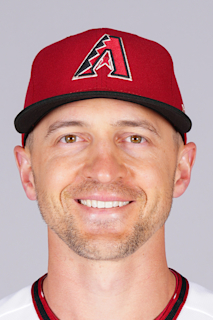 Appeared in 25 games in his first Major League season with the D-backs, hitting .200 (14-for-70) with two doubles, one home run and 4 RBI...Played 18 games (17 starts) at shortstop and two (one start) at second base…compiled a .970 fielding percentage (two E in 67 TC) at shortstop... Made his Major League debut on June 29 @ Padres and collected his first hit (single off Odrisamer Despaigne)... Hit his first home run on July 31 vs. Pirates (off Stolmy Pimentel)... Batted .312 (127-for-407) with 26 doubles, four home runs, 47 RBI and 14 stolen bases in 104 games with Triple-A Reno... Ranked sixth in the Pacific Coast League in average... Appeared in 91 games at shortstop and 14 at second base…his .979 fielding percentage (9 E in 439 TC) at shortstop led the PCL (min. 90 games)... Hit .361 (53-for-147) in his final 32 games prior to his first stint with Arizona (May 26-June 28)...Rated by Baseball America as the Best Defensive shortstop in the PCL…entered the season by the same publication as possessing the Best Infield Arm in the D-backs' organization, and the No. 11 Prospect by MLB.com. Hit .236 (115-for-487) with 21 doubles, five triples, four home runs, 46 RBI and 26 stolen bases in 135 games with Double-A Mobile...Earned the Minor League Rawlings® Gold Glove Award as the top defensive shortstop…ranked among all full-season shortstops (min. 80 G) in games (1st, 133), assists (1st, 441), total chances (2nd, 650) and fielding percentage (T-4th, .980)... Named as the Best Defensive Shortstop in the Southern League by Baseball America... Played with Salt River in the Arizona Fall League... Entered the season rated by MLB.com as the No. 7 Prospect in Arizona's farm system and by Baseball America as the Braves' Best Defensive Infielder. Hit .236 (115-for-487) with 21 doubles, 5 triples, 4 home runs, 46 RBI and 26 stolen bases in 135 games with Double-A Mobile...Earned the Minor League Rawlings® Gold Glove Award as the top defensive shortstop…ranked among all fullseason shortstops (min. 80 G) in games (1st, 133), assists (1st, 441), total chances (2nd, 650) and fi elding percentage (T-4th, .980)...Named as the Best Defensive Shortstop in the Southern League by Baseball America...Batted .288 (90-for-313) with 18 doubles and 34 RBI in his fi nal 79 games...Played with Salt River in the Arizona Fall League and batted .219 (14-for-64) with 1 home run and 6 RBI...Entered the season rated by MLB.com as the No. 7 Prospect in Arizona's farm system and by Baseball America as the Braves' Best Defensive Infi elder. Spent the season with Single-A Lynchburg and hit .269(136-for-506) with 36 doubles, 6 home runs and 49 RBI...Named to the Carolina League mid-and postseason AllStar Teams...Ranked among CL leaders in doubles (1st), stolen bases(1st, 40), runs scored (1st, 84), games (T-1st, 130), hits (3rd) and total bases (6th, 198)...Batted .357 (10-for-28) with 5 doubles and 3 RBI in 7postseason games for the CL champion Hillcats...named Mills Cup Finals Most Valuable Player, going 7-for-17 (.412) with 4 doubles and 1 RBI...Played with Phoenix in the Arizona Fall League and participated in the AFL Rising Stars Game...Named by Baseball America as the No. 13 Prospect in the CL following the season. Made his professional debut with Rookie Danville, batting .262 (65-for-248) with 13 doubles, 4 home runs and 24 RBI in 59 games. November 3, 2017 Arizona Diamondbacks activated SS Nick Ahmed from the 60-day injured list. August 26, 2017 AZL D-backs sent SS Nick Ahmed on a rehab assignment to Reno Aces. August 19, 2017 Arizona Diamondbacks sent SS Nick Ahmed on a rehab assignment to AZL D-backs. July 31, 2017 Arizona Diamondbacks transferred SS Nick Ahmed from the 10-day disabled list to the 60-day disabled list. Right hand fracture. June 28, 2017 Arizona Diamondbacks placed SS Nick Ahmed on the 10-day disabled list. Fractured right hand. November 3, 2016 Arizona Diamondbacks activated SS Nick Ahmed from the 60-day disabled list. September 9, 2016 Arizona Diamondbacks transferred SS Nick Ahmed from the 15-day disabled list to the 60-day disabled list. Right hip impingement. July 23, 2016 Arizona Diamondbacks placed SS Nick Ahmed on the 15-day disabled list. Right hip impingement. July 4, 2016 Arizona Diamondbacks activated SS Nick Ahmed from the paternity list. July 2, 2016 Arizona Diamondbacks placed SS Nick Ahmed on the paternity list. September 15, 2014 Arizona Diamondbacks recalled SS Nick Ahmed from Reno Aces. August 8, 2014 Arizona Diamondbacks optioned SS Nick Ahmed to Reno Aces. June 29, 2014 Arizona Diamondbacks selected the contract of Nick Ahmed from Reno Aces. March 31, 2014 SS Nick Ahmed assigned to Reno Aces from Mobile BayBears. January 8, 2014 Arizona Diamondbacks invited non-roster SS Nick Ahmed to spring training. January 10, 2013 Nick Ahmed assigned to Atlanta Braves. March 29, 2012 SS Nick Ahmed assigned to Lynchburg Hillcats from Danville Braves. March 24, 2012 SS Nick Ahmed assigned to Atlanta Braves. June 21, 2011 Nick Ahmed assigned to Danville Braves. June 16, 2011 Atlanta Braves signed SS Nick Ahmed.